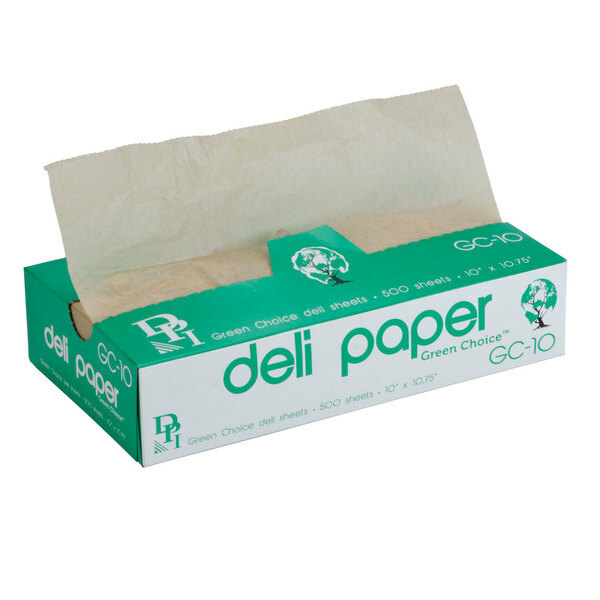 Perfect for your bakery, market, or deli, these Durable Packaging 10" x 10 3/4" Green Choice interfold Kraft unbleached brown soy wax deli sheets combine functionality and efficiency with eco-friendliness! 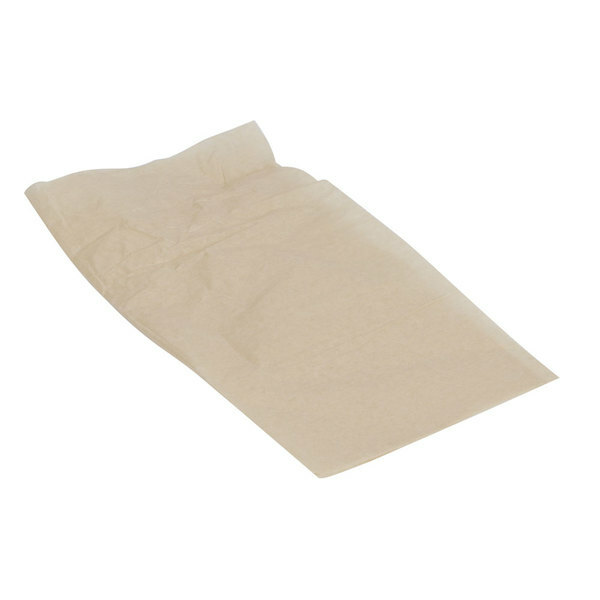 Made from natural Kraft paper with a soy blend eco wax, these chlorine-free tissue sheets are durable, absorbent, and have ultimate grease-resistance. 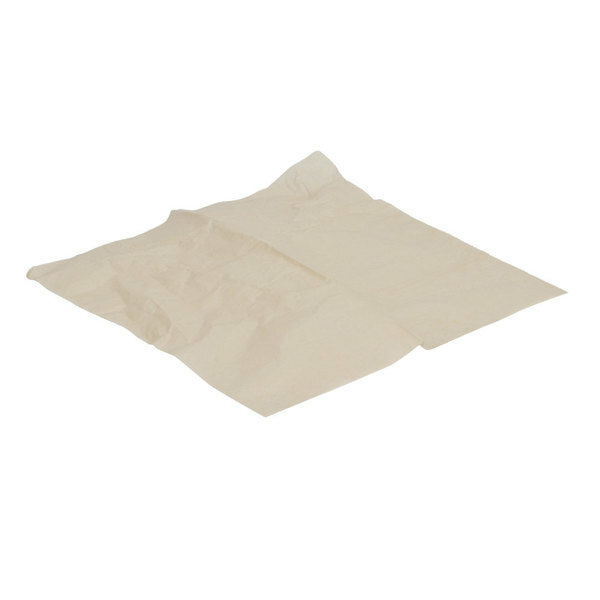 Pop-up wax paper sheets provide you and your employees a quick and easy way to wrap a variety of products. From deli meats and cheeses to fresh pastries, these deli sheets are great for packaging and wrapping sandwiches and other individual food items, from counter-to-customer service, and for separating baked goods or more. These sheets come packaged interfold in a compact box, and are "Pop-Up" for easy dispensing- as you pull one out, the next sheet is immediately ready for use. 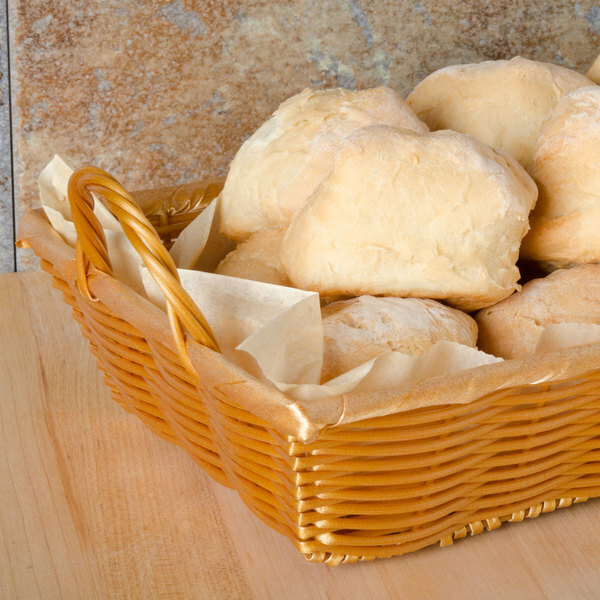 We purchased these to use in our bread baskets, and to grab cookies and handle snacks. They work great, look classic, and are easy to use for our grab-and-go area. These sheets are great for wrapping our sandwiches and wraps. They are also great for holding French fries and other fried foods since this soaks up oil. these wax sheet paper does it job, i use this for food that need to be fried and use this sheet over a deli tray, it look nice. love the color. The grease resistant is very good on these. I like how it absorbs some of the grease when I use these for fries and other fried goods. We buy these by the case. We use them for almost everything, from lining our bakery boxes to wrapping baked items in them to separate the various flavors. These are super environmentally concious wax papers. Our customers love that we use them over oil based wax. I think every business would benefit from switching! Durable & versatile for other applications other than food wrap. Protect your food & keep your microwave cleaner at the same time. Use these as food covers instead of paper towels. You will like it better. These wax papers help us make sure that we can have fresh sliced cheese and meat for customers. We also use it to touch pastries and bread. We use these sheets as a liner for our burgers and sandwiches in the brown cardboard 'boats' and they really make for a better presentation of the food. These soy wax deli sheets are perfect for keeping messy items like wraps and club sandwiches contained. We also use them to line our berry baskets for a rustic touch. These green kraft unbleached brown soy wax deli sheets are a great eco friendly option to have. The sheets are strong and perfect for wrapping sandwiches. We use this to line smaller baskets or to wrap some of our small specialty sandwiches in before cutting them. It is a breeze to wrap the small (and messy) sandwiches like a burrito, then cut them in half keeping all the messy goodness contained. We use this to separate meat and cheese slices in our cold table for easy use in made to order sandwiches. We find them to be sturdy and grease resistant. 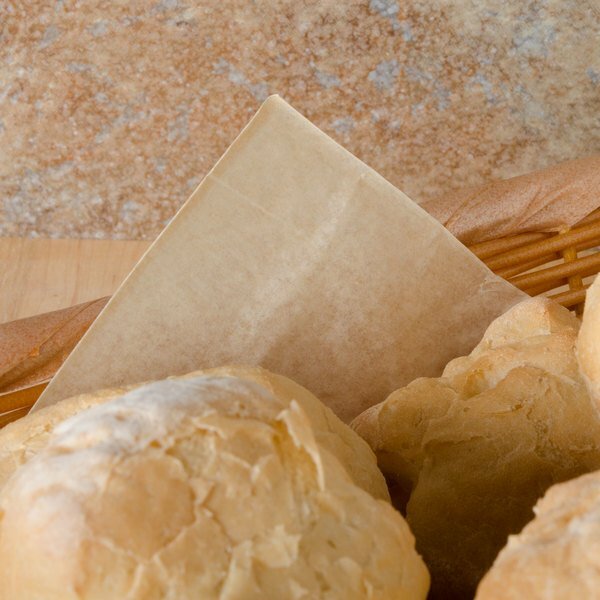 This wax paper is perfect size for our egg and cheese sandwich and pastries. We use it line the bottom of a basket or for wrapping to go. This is a permanent product in our shop. Love these eco-friendly wax papers. I purchased these to protect the bottom of my pie boxes. They do exactly that. Keep the bottom of my boxes looking nice & clean. No stains. They can be used for numerous things. I also use them to wrap my hot baked bread. Gives that final beautiful preswntation. Price is unbeatable. I bought the eco choice deli sheets and then purchased these because of the price difference. I like both of them for wrapping sandwiches. They are both eco friendly, so I'm not too sure of the difference. These sheets are great and do the job. We were using them in the paper boats as an added layer of protection for hot food. Idon't have much experience with other deli sheets but they were what I expected. We use these deli sheets for our 5 lb boats at our restaurant. They are excellent quality. I like that they are eco friendly and the help give a nice presentation. I highly recommend. I mostly use these for lining cardboard bakery boxes before filling with pastries. They are also good for grabbing single items when I'm selling retail, since they're cheaper than vinyl gloves. The pop-up dispenser box is very handy! This paper works perfectly with the craft take out container. I love that it is unbleached, The brown color gives it a more natural look. Good price. These are also very durable, no tearing even when we are loading carry-out containers at peak hours, quickly going from one to the next. The material, is of course, great for businesses looking to keep their service green. This paper is thin paper that is waxed. If you are looking for straight tissue paper, this is not it. This is a bit thicker. Works well. Our new paper we use to line the food trays. It looks good, clean and it matches our biodegradable food trays very well, and it is grease resistant and doesn't leak through on to the tray. Not quite the thickness or quality of the Bagcraft Papercon EcoCraft brand. If you need a heavier paper or higher-end look, opt for those. These are very prone to crumpling as you remove them from the box. A budget option that still earns points with the 'green' crowd.